A static-analysis-based event input generation approach for Android applications was proposed.Based on the inter-component call graph and the system dependence graph of single component,the event inputs that security-related callbacks depend on were extracted.Furthermore,an event input algorithm was designed to automatically generate event inputs according to Android application runtime.The experimental results show that the proposed method can achieve higher coverage of permission methods and basic components,which can cover more security-related execution paths and help to collect more security-related runtime behaviors during the process of dynamic analysis. Yi-lin YE,Zhen-ji ZHOU,Zheng HONG,Hui-ying YAN,Li-fa WU. Static-analysis-based event input generation approach for Android application[J]. Chinese Journal of Netword and Information Security, 2017, 3(6): 21-32. XIA M , GONG L , LYU Y ,et al. Effective real-time android application auditing[C]// IEEE Symposium on Security and Privacy. 2015: 899-914. BIANCHI A , FRATANTONIO Y , KRUEGEL C ,et al. NJAS:sandboxing unmodified applications in non-rooted devices running stock Android[C]// ACM CCS Workshop on Security and Privacy in Smartphones and Mobile Devices. 2015: 27-38. BACKES M , BUGIEL S , HAMMER C ,et al. Boxify:full-fledged app sandboxing for stock android[C]// Usenix Conference on Security Symposium. 2015: 691-706. AFONSO V M , AMORIM M F D , GRéGIO A R A ,et al. Identifying Android malware using dynamically obtained features[J]. Journal of Computer Virology and Hacking Techniques, 2015,11(1): 9-17. QIU L , ZHANG Z , SHEN Z ,et al. AppTrace:dynamic trace on Android devices[C]// IEEE International Conference on Communications. 2015: 7145-7150. 李必信, 李宣东, 郑国梁 . 一种系统依赖图的面向对象扩充方案[J]. 软件学报, 2001,12(2): 241-248. LI B X , LI X D , ZHENG G L . An object-oriented extension ap-proach for system dependent graph[J]. Journal of Software, 2001,12(2): 241-248. 杜林, 江海燕 . 计算面向对象程序切片技术研究[J]. 山东大学学报(工学版), 2008,38(6): 41-47. DU L , JIANG H Y . Research on slicing technology of object oriented program[J]. Journal of Shandong University(Engineering Science), 2008,38(6): 41-47. AU K W Y , ZHOU Y F , HUANG Z ,et al. PScout:analyzing the Android permission specification[C]// The ACM Conference on Computer and Communications Security. 2012: 217-228. MOURA L D , BJORNER N . Z3:an efficient SMT solver[J]. Lecture Notes in Computer Science, 2008,4963: 337-340. CHOI S , BIJOU M , SUN K ,et al. API tracing tool for Android-based mobile devices[J]. International Journal of Information and Education Technology, 2015,5(6): 460-465. MACHIRY A , TAHILIANI R , NAIK M . Dynodroid:an input generation system for Android apps[C]// Joint Meeting on Foundations of Software Engineering. 2013: 422-434. HU C , NEAMTIU I . Automating GUI testing for Android applications[C]// The International Workshop on Automation of Software Test. 2011: 77-83. AMALFITANO D , FASOLINO A R , TRAMONTANA P ,et al. Using GUI ripping for automated testing of Android applications[C]// The 27th IEEE/ACM International Conference on Automated Software Engineering,IEEE Computer Society. 2012: 258-261. YANG W , PRASAD M R , XIE T . A grey-box approach for automated GUI-model generation of mobile applications[C]// The International Conference on Fundamental Approaches To Software Engineering. 2013: 250-265. CHOI W , NECULA G , SEN K . Guided GUI testing of Android Apps with minimal restart and approximate learning[J]. ACM Sigplan Notices, 2013,48(10): 623-640. AZIM T , NEAMTIU I . Targeted and depth-first exploration for systematic testing of Android Apps[J]. ACM Sigplan Notices, 2013,48(10): 641-660. RASTOGI V , CHEN Y , ENCK W . Appsplayground:automatic security analysis of smartphone applications[C]// ACM Conference on Data and Application Security and Privacy. 2013: 209-220. VEEN V V D . Dynamic analysis of Android malware[J]. Internet ＆Web Technology Master thesis,VU University Amsterdam, 2013. LINDORFER M , NEUGSCHWANDTNER M , WEICHSELBAUM L ,et al. ANDRUBIS- -1,000,000 apps later:a view on current Android malware behaviors[C]// The 3rd International Workshop on Building Analysis Datasets and Gathering Experience Returns for Security,IEEE Computer Society. 2014: 3-17. 方宁,曹卫兵,倪冬鹤,狄冠东. 基于Android平台并行运算机制的密码运算加速方案[J]. 网络与信息安全学报, 2019, 5(1): 50-55. 史福田,毛剑,刘建伟. Android移动设备边信道隐私推测研究综述[J]. 网络与信息安全学报, 2018, 4(4): 12-21. 朱晓妍,章辉,马建峰. 基于Hook技术的Android平台隐私保护系统[J]. 网络与信息安全学报, 2018, 4(4): 38-47. 谷杰铭,孙博文,吴鹏,李祺,郭燕慧. 基于API调用的抗混淆Android应用相似性检测方法[J]. 网络与信息安全学报, 2018, 4(1): 63-68. 颜慧颖,周振吉,吴礼发,洪征,孙贺. 基于符号执行的Android原生代码控制流图提取方法[J]. 网络与信息安全学报, 2017, 3(7): 33-46. 王亚伟,彭长根,丁红发,周凯. 基于标识符的Android客户端身份认证方案[J]. 网络与信息安全学报, 2017, 3(4): 32-38. 张骁敏,刘静,庄俊玺,赖英旭. 基于权限与行为的Android恶意软件检测研究[J]. 网络与信息安全学报, 2017, 3(3): 51-57. 刘井强,李斌,陈立章,陈彬. 基于Android系统免Root主防方法的研究[J]. 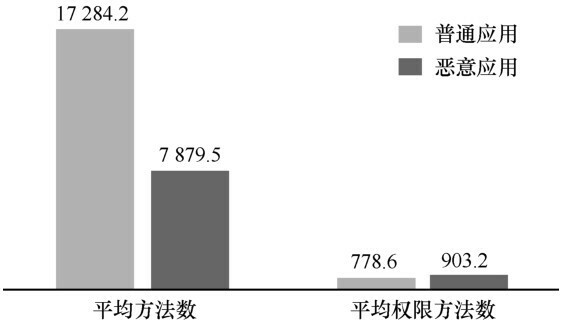 网络与信息安全学报, 2016, 2(1): 65-73. 桑俊俊,石胜飞,李建中,熊蜀光. 无线传感器网络分布式单向链路检测算法[J]. 通信学报, 2008, 29(11): 22 -172 . 鲁蔚锋,吴蒙. 两跳中继CDMA蜂窝系统的上行链路容量分析[J]. 通信学报, 2010, 0(9): 10 -53 . 张 静，胡华平，刘 波，肖枫涛. 基于ASPQ的LDoS攻击检测方法[J]. 通信学报, 2012, 33(5): 10 -84 . 杨春刚，盛敏，董延杰，李建东，李红艳，刘勤. 认知网络中基于网络辅助的速率控制方法[J]. 通信学报, 2013, 34(5): 15 -135 . 干 楠，龚声蓉，王朝晖，刘纯平，刘 全. 基于张量投票的空域错误隐藏算法[J]. 通信学报, 2011, 32(10): 16 -134 . 张红旗，韩崇砚. 支持分布式身份联盟的单点登录机制[J]. 通信学报, 2011, 32(11A): 22 -162 .